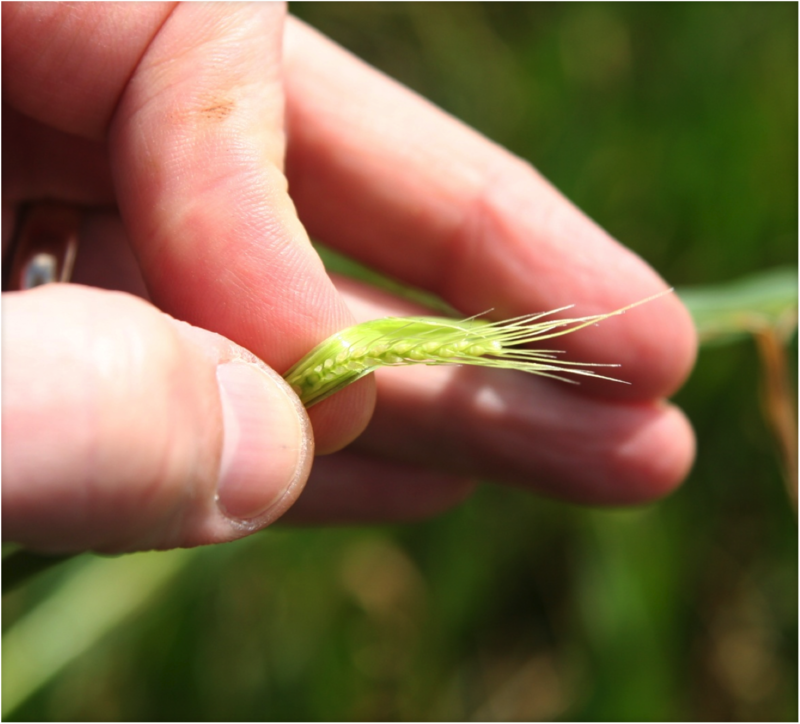 Oklahoma: Wheat around Stillwater is mostly at GS 10.2 to 10.4 (heads ¼ to ½ emerged from boot). 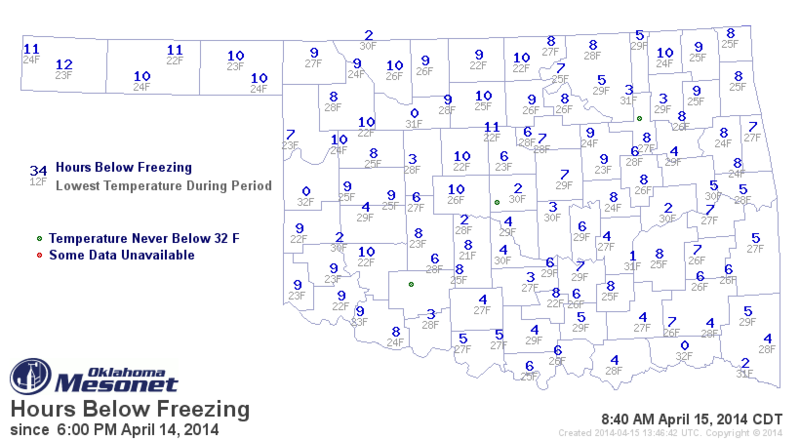 Conditions are still dry, not only around Stillwater, but also around much (if not all) of the state. Some rain fell this past week in the 1 inch range in a few areas, but in southwestern OK it was most likely too late to help the wheat. Freeze damage also is becoming much more apparent. Dr. Jeff Edwards (OkSU Small Grains Exten Spec) and I looked at wheat and attended a field day yesterday evening near Apache, OK (about 75 miles southwest of Oklahoma City). The variety trial and field at Apache was lost because of freeze. 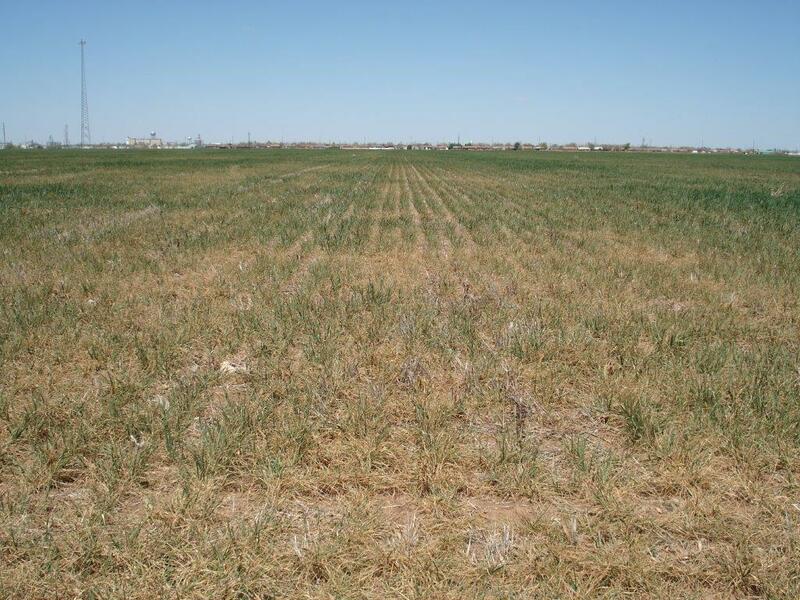 Wheat at Dr. Edward’s trial at Chickasha (30 miles northeast of Apache) also had some freeze damage but not as severe as the wheat around Apache. No foliar diseases were seen at any field at which we stopped, and no reports of foliar diseases have come to me since my last update (10-Apr). As you can tell from the reports below from Texas, there just is not much inoculum south of us to be carried northward, and what does blow up is likely not finding an environment conducive to infecting. Our diagnostic lab has received few samples. 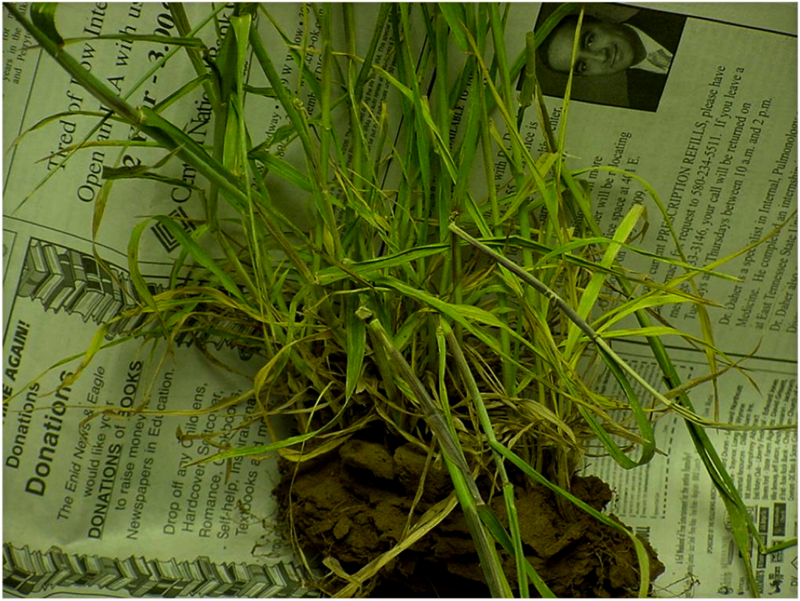 Of two recent samples from Garfield County (north-central OK), one was positive for Wheat streak mosaic virus (WSMV) and the other was positive for WSMV and High plains virus. 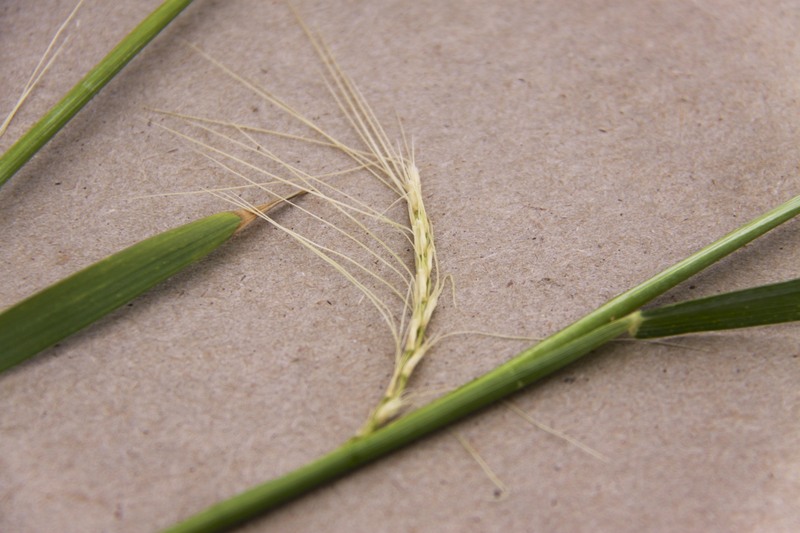 The diseases caused by these viruses, which are transmitted by the wheat curl mite, were fairly widespread in Oklahoma in 2013 and probably will be again in 2014. However, I suspect that the drought and freeze will mask these infections. Texas Dr. Ron French (Ast Prof, Extn Plant Pathologist, Texas A&M AgriLife Extn Service) 25-Apr-2014: Was driving all day and night (600 miles) yesterday looking at crops from Castroville to the Lower Rio Grande Valley and back. Today heading back to Amarillo. Last Tuesday April 15 I drove from Amarillo to Wichita Falls (Northern Central part of the state right along the Oklahoma border) and back to Amarillo (220 miles NW of Wichita Falls). Looked at commercial wheat and some trial plots in Chillicothe. Did not see any rust at all and brought samples back just to make sure. In the Wichita Falls area, wheat was at Feekes 10.4 (3/4 fully headed) on average. So now they should be at least flowering. In the Chillicothe area (65 miles NW of Wichita Falls towards Amarillo) wheat was on average at Feekes 10.3 (heading half complete). Have not heard of any rust in this area (Rolling Plains and Panhandle) this week. I have not received any feedback of stripe rust moving north of Ellis County (from my April 10 report), although now it is also in Hill County, adjacent to Ellis, but in a SW direction. In Hill County, wheat with stripe rust was past pollination and into grain fill. Even in Bell county (Temple area, 120 miles south/southeast of Dallas) there was trace levels of stripe rust and none in the flag leaf. Except for the Texas Panhandle, all other areas will soon (early next week for the Vernon area) be out of the window for spraying any fungicides. So the good news is that rust is not moving north, yet. 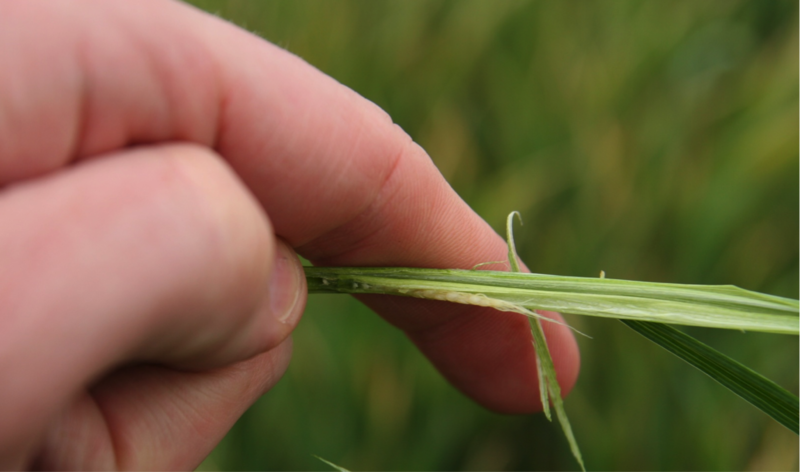 With warm temperatures during the day but cool at night, this might be affecting continuous fungal growth for both stripe and leaf rust fungi. 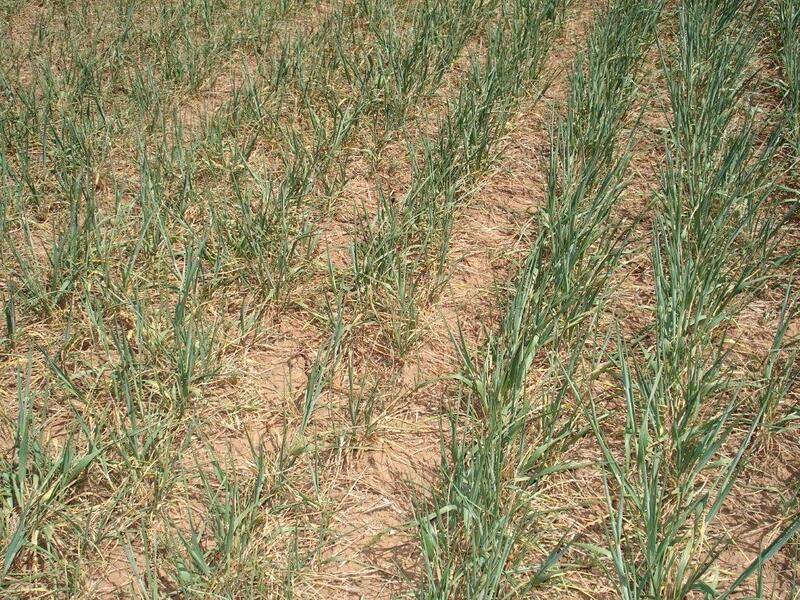 Texas (from a report issued by Dr. Erick DeWolf at KSU 25-Apr-2014: Texas has reported some stripe rust activity just south of Dallas but warm temperatures have slowed the progress of that disease. Bob Bowden, USDA Plant Pathologist, reports that leaf rust remains active in research plots near San Antonio, Texas. However, the disease remains at low levels in commercial fields according to Tom Isakeit, Extension Plant Pathologist for Texas A&M. Wheat fields in southern Texas are nearly ready for harvest. 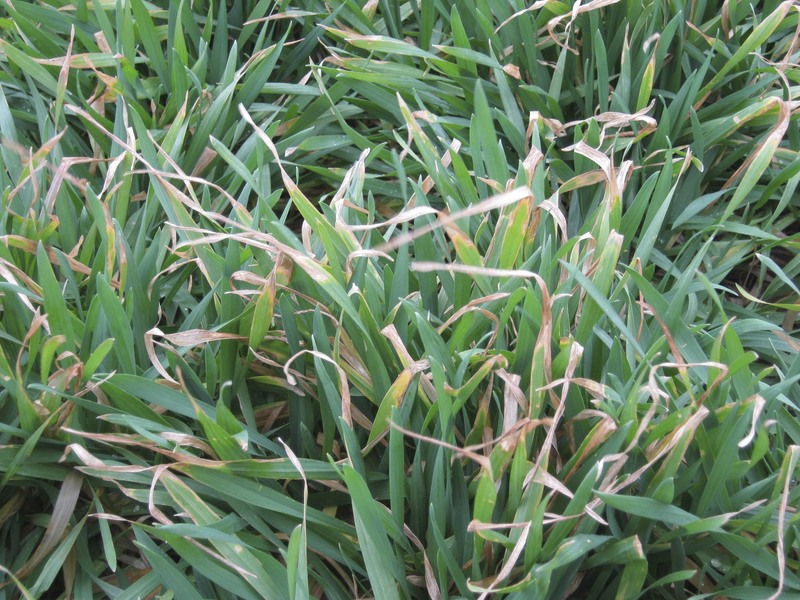 Kansas Dr. Erick DeWolf, Extension Wheat Pathologist, Kansas State University 24-Apr-2014: The risk of severe leaf diseases remains low throughout Kansas. My own scouting and reports from K-State agronomists indicate that leaf rust and stripe rust are not present in the state. Tan spot, septoria leaf blotch, and powdery mildew were absent in most fields; however, we did find a small number of fields with low levels of tan spot in Saline, McPherson, and Sedgwick counties. These fields all had wheat residue from previous crops on the soil surface. 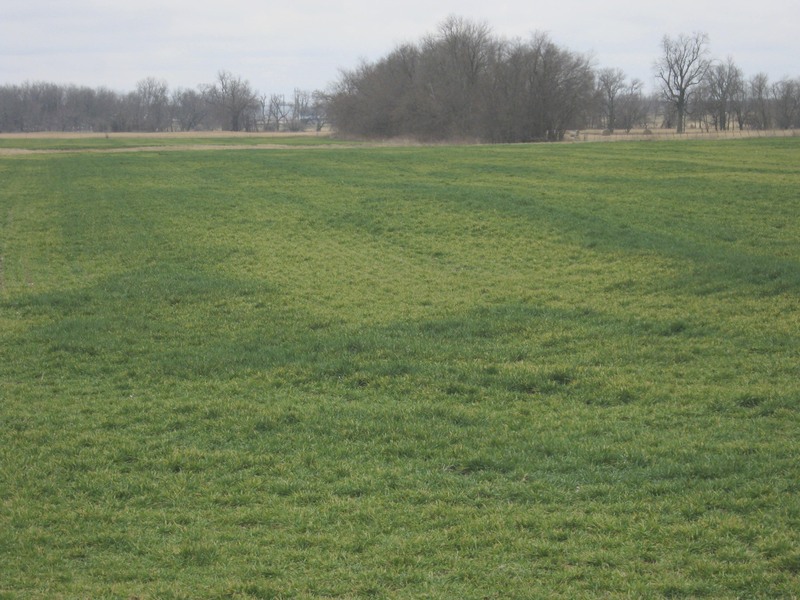 This residue is important because it often harbors the fungus that causes tan spot. 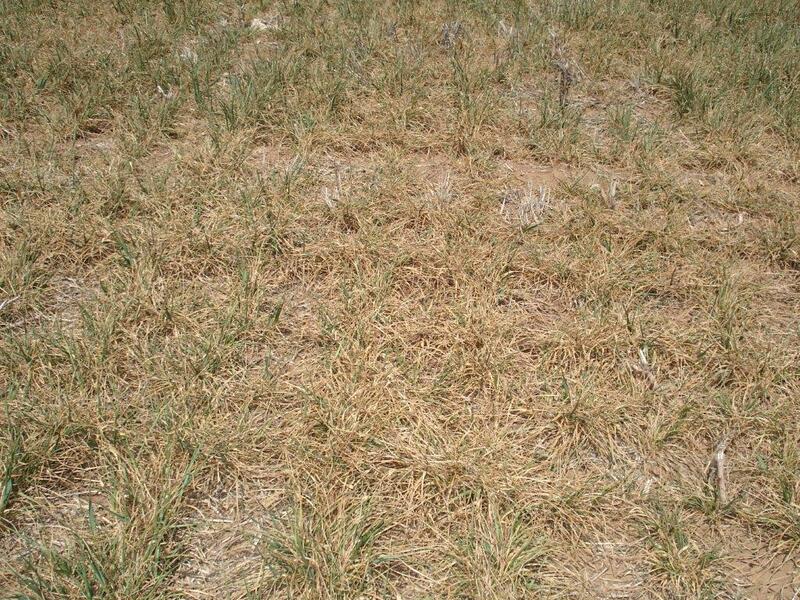 Drought stress was evident in most fields and the dry conditions are holding disease in check for now. Recent rains have brought some temporary relief to the dry conditions in a few areas of the state. We will continue monitoring the disease situation as this moisture may stimulate some disease. The symptoms of any new infections would not become evident for 7-10 days. The current risk of severe disease in Kansas and the need for foliar fungicides is low. 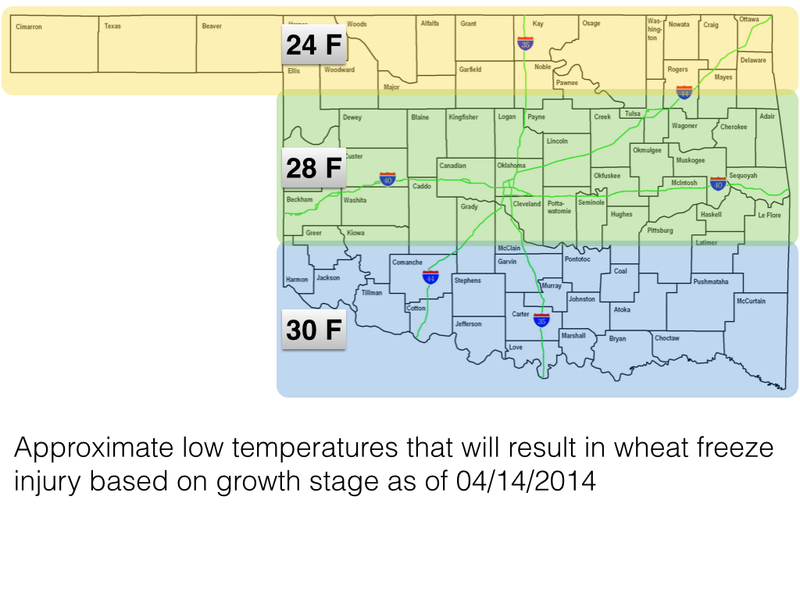 Oklahoma: Wheat around Stillwater is mostly at GS 7 (2 nodes detectable). In a few places the flag leaf has emerged but only in one field. I still have not received reports of significant foliar diseases in Oklahoma, which is not surprising given the dry conditions. Around Stillwater I have seen some powdery mildew on low foliage in scattered spots. I and my technician Brian Olson also found tan spot in a no-till field, but only on low foliage and not severe. 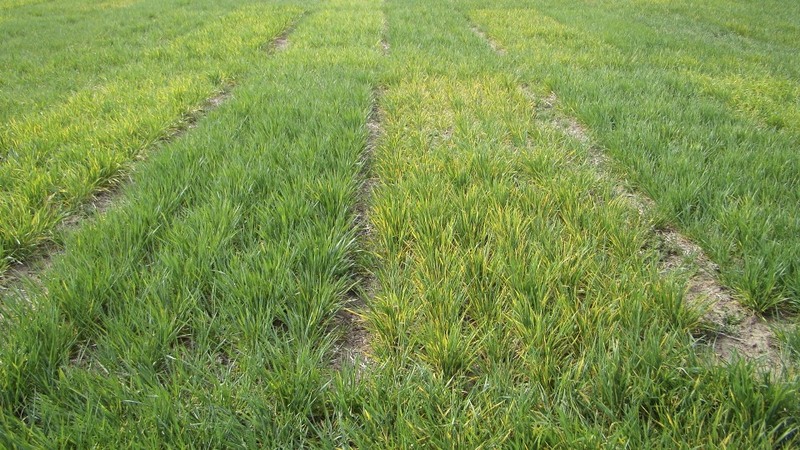 The one find of a different disease that is concerning was wheat streak mosaic (WSM) in Dr. Jeff Edward’s variety trial in Kay County near Kildare. Visiting the trial on April 2nd, yellowing and streaking were present in all varieties but some were much worse than others. I was not thinking about WSM at the time, but 5 samples I brought back to the lab all tested positive for the virus that causes WSM, so I believe that is what is present. On a trip today to northern Oklahoma and over to Lahoma in north central Oklahoma, I saw some good and some bad wheat that ranged from GS 6 to GS 7 (or close to it). 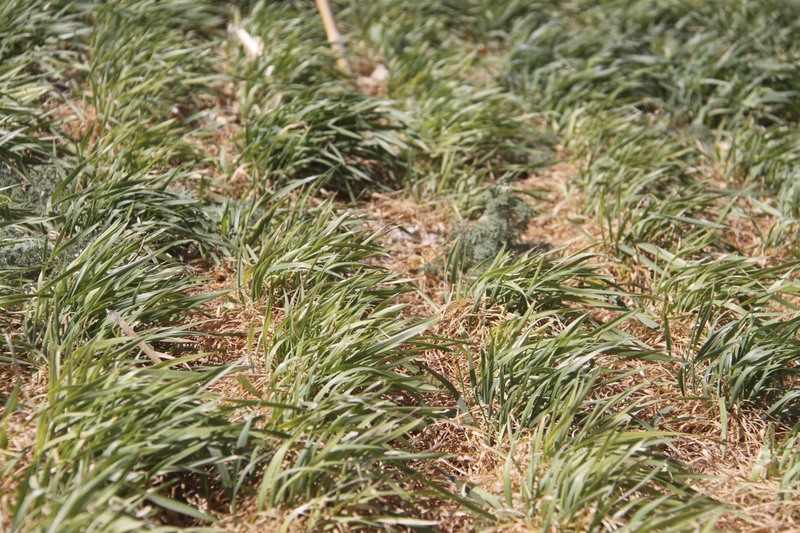 However, all the wheat seemed short to me – some not much more than 10-12 inches tall. 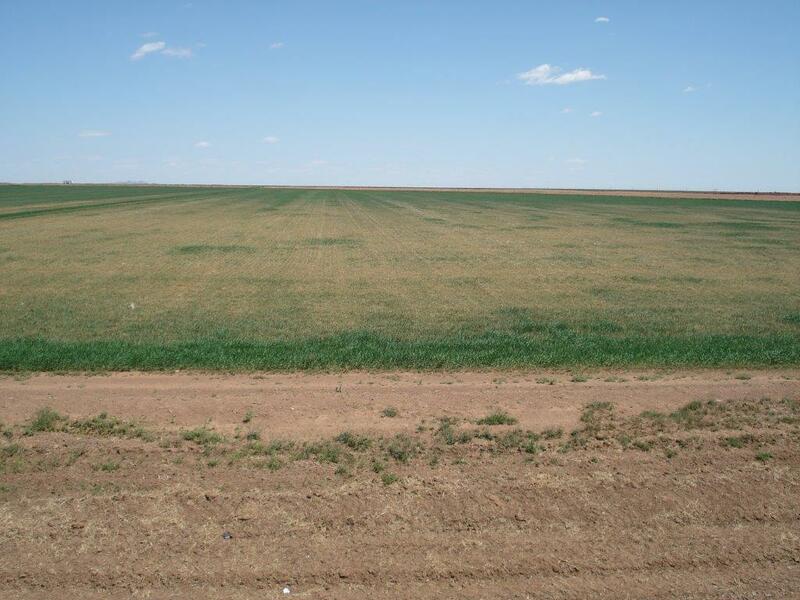 In northwestern Oklahoma, Rick Kochenower (Area Res & Extn Agron Spclt) indicated, “I see a lot of dryland wheat dying but not from disease.” He said that wheat was just starting to tiller. In southern/central/southwestern Oklahoma, Mark Gregory (Area Extn Agron Spclt) reported that today he was in wheat towards the eastern side of the district and saw no diseases; also that the wheat furthest along had flag leaves fully extended (GS 9). 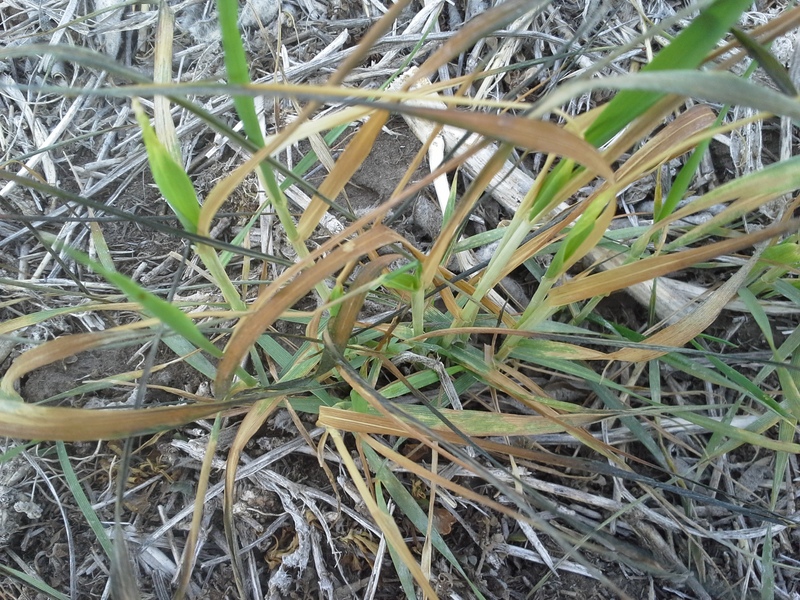 Gary Strickland (Extn Educator, Jackson County – southwestern OK) indicated wheat in his area was in the flag leaf stage – anywhere from flag leaf just emerging to fully-emerged. Drought is the problem; no rust, powdery mildew or other diseases, but brown wheat mites have exploded. 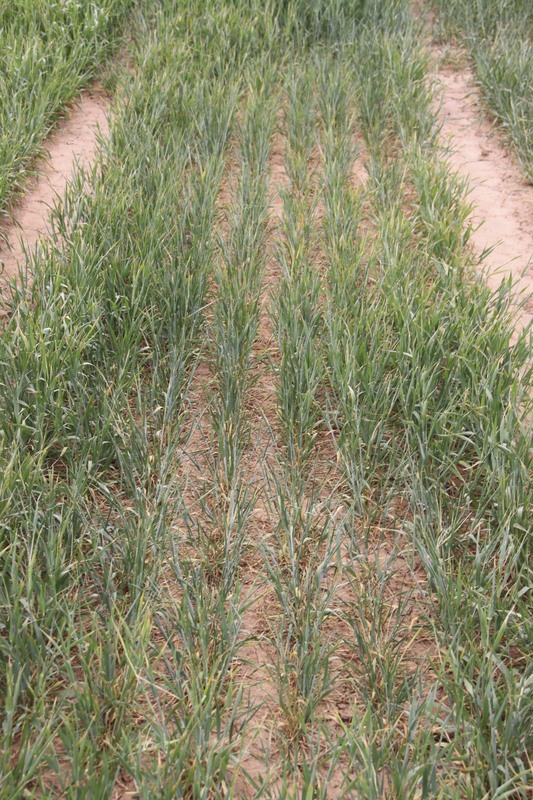 Wheat rust conditions at Castroville, TX – Wheat looks very good here and most of it is at the ripening stage. We have been applying a ½ of irrigation per week for the past two weeks. We may put another ½ next week, depending on the conditions. The morning fog at this location is also keeping the rust going. Wheat stripe rust (P. striiformis)- This week provided an opportunity for taking notes on infection type and severity of wheat stripe rust (P. striiformis). 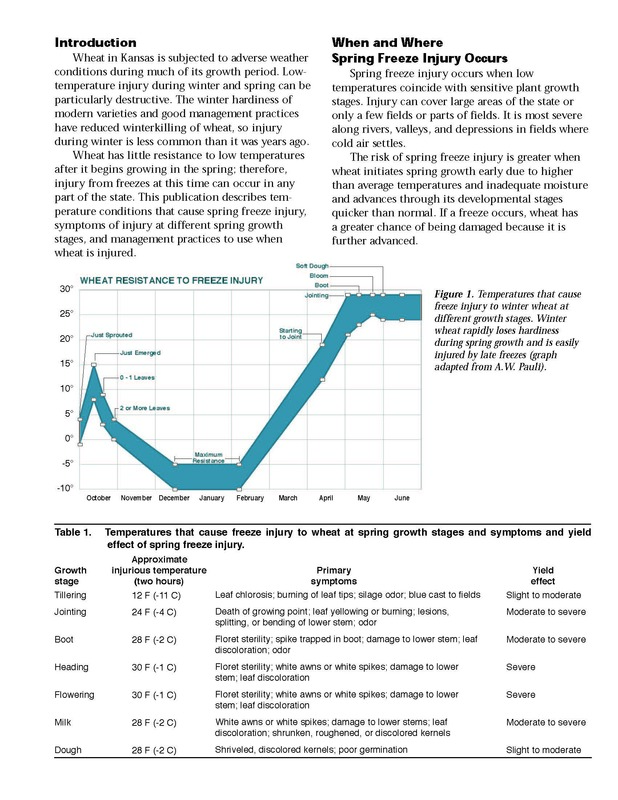 Evidence points to a milder repeat of 2012 virulence that attacked ‘TAM 111’, ‘Garrison’ and other HRW. There is no indication of Yr17 vulnerability, which seemed as a one‐time incident that took place in 2010. Stripe rust is up to 70S on susceptible ‘Patton’. We don’t expect infection types to be distinguishable next week but ratings for green leaf area duration can be taken. A lot of guessing has to be made, though, as both P. striiformis and P. triticina have been competing for the upper leaf surfaces. The former has started to dry up and newer infections are not likely. This does not overrule establishment farther north of here where conditions are conducive. ‘Armour’ received a 40 S rating at this site, but ‘Redhawk’ looks very vulnerable with a rating 50S on the flag leaf and homogenous spread across the plot. 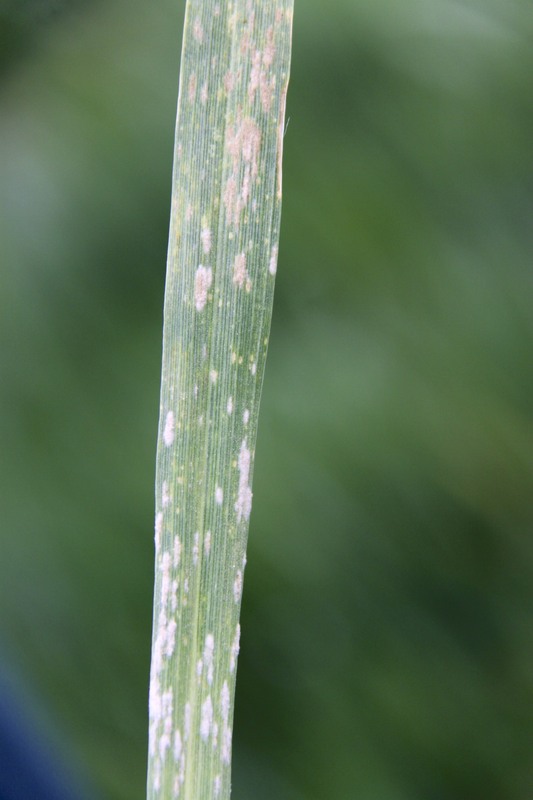 Wheat leaf rust (P. triticina): While stripe rust infections are fading, leaf rust (P. triticina) is now moving into the flag leaves of susceptible wheat. I have rated TAM 112 as 15S (FL) today. We have good diversity of races, but the Lr24 virulence is moving faster as evidenced by the rating of 60S on the flag leaves of ‘Jagalene’ as opposed to Lr17, Lr39, and Lr41. We plan to come back here on April 21st to take notes on leaf rust, tag plants, and make selections. Texas Dr. Ron French (Ast Prof, Extn Plant Pathologist, Texas A&M AgriLife Extn Service) 10-Apr-2014: I have spent many of the last 14 days traveling the Northern Central part of the state, from Wichita Falls (right along the Oklahoma border) and towards Amarillo (220 miles NW of Wichita Falls), and From Amarillo down to the Plainview area (70 miles south) and the Lubbock area (120 miles south of Amarillo). I have not seen any rust at all in commercial fields. Visual observation but also sampled just in case rusts were latent and not quite rupturing the epidermal tissue. No reports of there being any rusts from consultants as well. From what I have gathered from consultants, there is/has been stripe rust as far north as Waxahachie, TX (Ellis County), 30 miles south of Dallas. Other locations with stripe rust are around Elgin, TX (Bastrop and Travis Counties, approximately 25 miles East of Austin, TX) and Taylor, TX (Williamson Co, approximately 25 miles south of Austin and approximately 75 miles West of College Station). As far as leaf rust is concerned, these and other locations in that area have also had leaf rust, and in varieties such as Greer, Cedar, and Coronado. Low levels but enough to warrant sprays as much of that crop is fully headed. In some locations, 7-10 before getting into the milk stage for Cedar. I have also been told that Fannin had low levels of rust, something out of the usual. I need to confirm which rust it is (leaf or stripe). We are a bit behind other years where we have seen leaf rust by late March/early April as far north as Wichita Falls (a few miles from the Oklahoma border) and early April for stripe rust, North and Northeast of Dallas and close to the Oklahoma border. With temperatures expected to be in the high 80s and low 90s Fahrenheit in the Texas High Plains sometime this weekend but lower next week but with little to no rain, disease pressure is still not there (humidity-wise) although common heavy winds could bring inoculum our way. 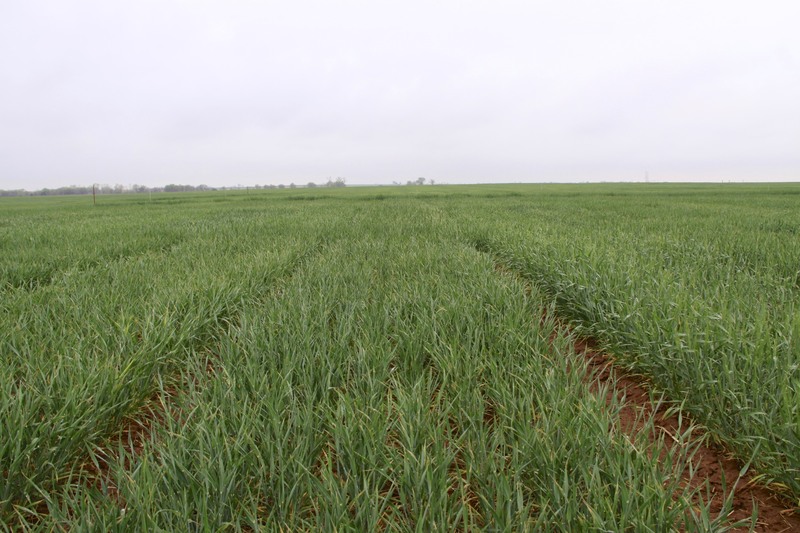 Texas (northern – blacklands area north of Dallas) Jim Swart (IPM, Texas A&M AgriLife Extension 31-Mar-2014: Wheat is rapidly recovering from the hard freeze we received in early March. Winterkill does not appear to be an issue in any of the commercial varieties planted across the region, but some early maturing varieties in our research plots were damaged by the freeze. Wheat planted in October is jointed (Feekes 6), and some plants are in Feekes 7 (two nodes above the ground). Wheat planted in November is just beginning to joint. We have identified a few bird cherry oat aphid infestations in central and southern Hunt County, but most of the area wheat crop has very low numbers of aphids (greenbug and bird cherry oat aphids). We have not observed any stripe or leaf rust yet. Louisiana Trey Price (Field Crops Pathologist LSU Ag Ctr, Winnsboro, LS) 31-Mar-2014: There’s really not much to report at the moment in Louisiana. Steve spotted leaf rust at Ben Hur Research Station in Baton Rouge a couple of weeks ago, and incidence and severity were low. I’m unsure of the current status. We have stripe rust developing in GACT7, a susceptible variety, at the Dean Lee Research Station in Alexandria. Incidence and severity were less than 1% last week. 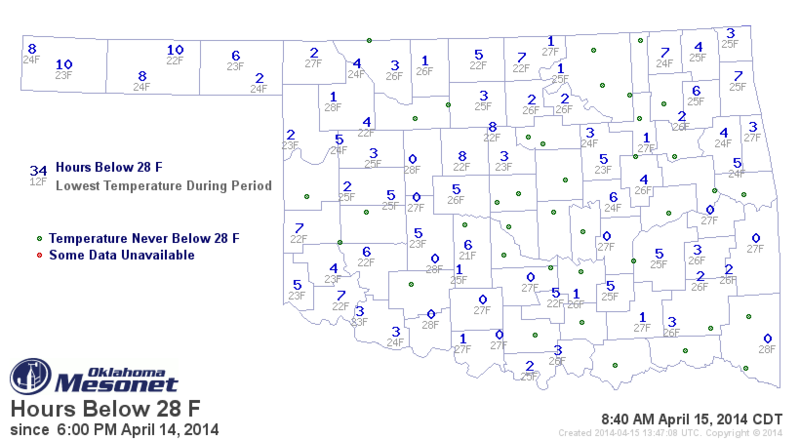 In Winnsboro, there are no rust issues on wheat or oats at the moment. Low incidence and severity of leaf and stripe rust at Crowley (Rice Station, Southwest Louisiana). Georgia Dan Bland (Crop & Soil Dept, Univ of Georgia-Griffin) 3-Apr-2014: We were down visiting our nursery in Plains, GA yesterday and found a lot of leaf rust in a strip of wheat planted about 2 months earlier than the recommended date for the purpose of spreading hessian fly to a small replicated test. This is done every year so that David Buntin can get pupa and larva counts on the state variety test. We normally see leaf rust in this area especially if the strip planted is susceptible. This year Jerry Johnson says it’s the most he’s ever seen for this time of year. We also saw leaf rust on the lower leaves of the most susceptible lines in another test about 300 yards away. Leaf rust also has been reported in southeast Georgia. Plains is in southwest Georgia.